"Such work should be encouraged: it is basic to the preservation and use of all recordings which should be looked upon as historical documents. All serious collectors will welcome Alan Kelly's outstanding contribution to the professional documentation of a large segment of recorded history, and support this fine work and that of the future by proving to the commercial publishers who have gambled on our efforts that these projects are worthwhile in every sense?" 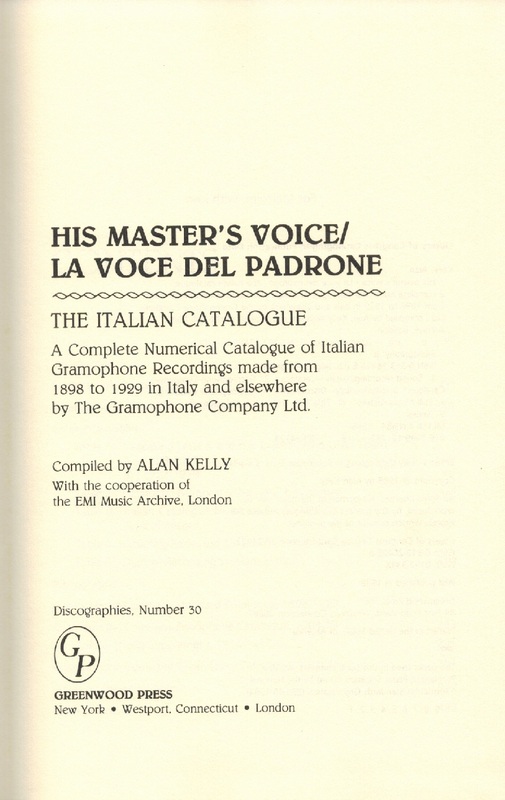 "This discography provides, for perhaps the first time, a complete numerical catalogue of Italian gramophone recordings made by the Gramophone Company Ltd. Kelly has effectively used the archives and registers of EMI Limited (The Gramophone Company) to offer a richly detailed picture of recording activity during the years 1898 to 1929. The Gramophone Company was established in London in 1898 and by 1899 six branches had been set up in Europe, among them Milan, Italy. In each branch, matrixes were numbered serially and coded to indicate recorder, making it possible to identify not only the first Gramophone record to be made in Italy--Bice Adami singing 'Voi lo sapete' with piano accompaniment--but to follow the course of the company's activities. The main catalogue is divided into three sections: recordings issued on the Gramophone label; recordings issued on the Zonophone label, including the Trento-Trieste Supplement; and recordings issued on the Gramophone Green label. Most entries include the following information: the original catalogue number; the matrix (serial) number of the recording in its correct form; the date of recording; the name of the artist(s) involved in making the recording, including the accompaniast where known; the title of the piece; and alternate issue numbers. Kelly's introduction gives an overview of the company's history and cataloging practices. 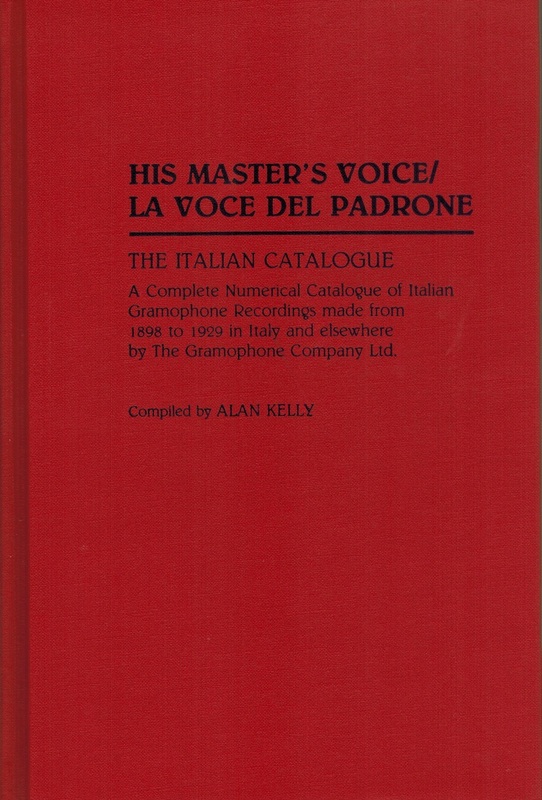 Kelly not only examines the history of the Italian Gramophone Company, but added to the discographical record of the Victor Talking Machine Company, of which Gramophone was the European, Asian, and African partner. His discography will be welcomed by anyone interested in the international history of recorded music. Record collectors will also find it a valuable resource."